Just to increase net overload as well as narcissistic acme, cover pages (50k approx.) of these books under your finger! I wrote some books but all in French. Some translations exist to English, Spanish and Italian. My first book was published in 1982 and was called Langage d'un autre type: Lisp, it was a gentle introduction to a kind of Scheme dialect. It was translated in English by MacMillan and simply called Lisp. 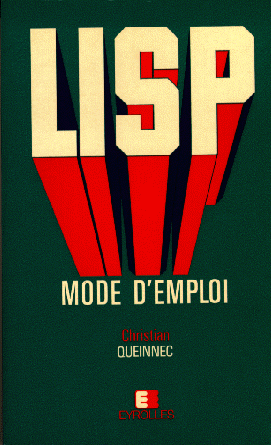 The second, published in 1984, was called Lisp: mode d'emploi and covered the pragmatical aspects of Lisp ie depth-first, breadth-first, data-driven programming styles etc. 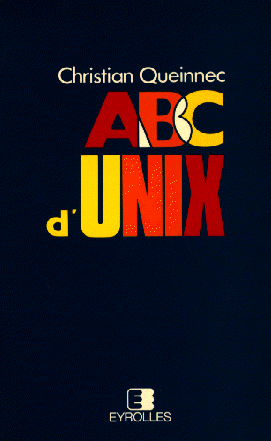 Having to teach UN*X, I published a booklet, named ABC d'UN*X, in 1986, on its overall philosophy: the things you better have to know before reading the man pages, writing your first shell script, reset-ing your terminal or tset-ing your line driver. I tried to give an introduction that allows one to understand the basics of UN*X and to be able to find the rest of the information in (and by) UN*X. Ce livre est maintenant épuisé, une version HTML gratuite est accessible en ligne distribuée sous licence FDL. A small unpublished paper presented and explained the Turing-McCarthy machine. This paper, called Lisp -- Almost the whole Truth presents a reflective implementation of a small but rather complete Lisp system with a minimal number of features and an explicit read and print functions as well as a GC. Probably the slowest interpreter ever seen: I remember waiting 30 minutes for the banner to come, letter after letter, on an old Mac+! 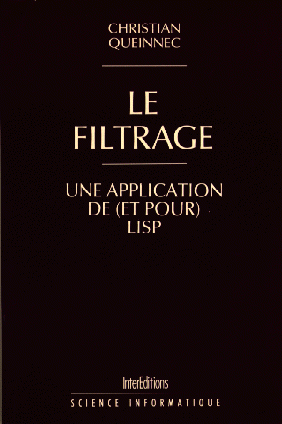 A real book now on pattern matching interpretation and compilation, published in 1990 and called Le filtrage. Ce livre en français est maintenant épuisé et ne sera pas republié, ses 140 pages sont donc disponibles sur le réseau gratuitement ! Ce livre est diffusé sous licence FDL. The final pattern compiler of that book was superseded shortly after its publication by a paper WSA92 written with Jean-Marie Geffroy. Pour les cours de Scheme que je donne à l'X, j'ai écrit un petit recueil d'exercices pour 5 à 6 TP de deux heures. Il est livré avec et sans solutions . Pour en savoir plus sur Scheme. 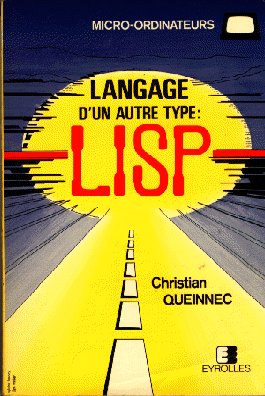 Finally, in fall 1994, I finished a thick book (now available in French and in English) on Lisp/Scheme, its semantics, its interpretation and its compilation. 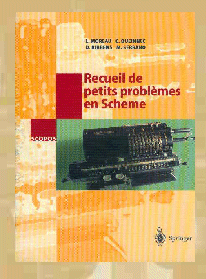 In fall 1999, Luc Moreau, Daniel Ribbens, Manuel Serrano and I wrote a book containing approximatively 300 exercices on Scheme. This book is published by Springer in the SCOPOS series ( Au monde en tique). This is a very progressive series of exercises from simple numeric recursions to recursion on graphs. In the same fall 1999, I finished my first CDrom (in French) to teach the C programming language (hence its name: ``VideoC''). Two papers (in French) describes this realization on the pedagogical side and the implementational side. There's also a more theoretical but still related ICFP'2000 paper. In september 2000, the new CDrom was issued and made available on Internet. Its name is ``Videoc2000''. The tools I used for these CDroms are available under GPL, see the VideoC page and the Java packages. I also gather some tools I'm regularly using for my courses. Stay away if not teaching! Starting in 2001, some colleagues and I started to teach Scheme with the help of a CDROM. We used DrScheme as a basis on which we added exercises and quizzes. Read about this experiment in IFIP WCC 2002 as well as in TICE2002 (the latter being in French). I also jotted some notes on a Scheme library used to design for quizzes with help of web continuations. Avec Emmanuel Chailloux, nous avons organisé un examen sur machine pour 250 étudiants entièrement corrigé automatiquement. Voyez notre compte-rendu TICE 2002! Les programmes utilisés et leur documentation , le « CFSkit » sont disponibles!